Let the news be spread far and wide....In Search of Dorothy has at last arrived! 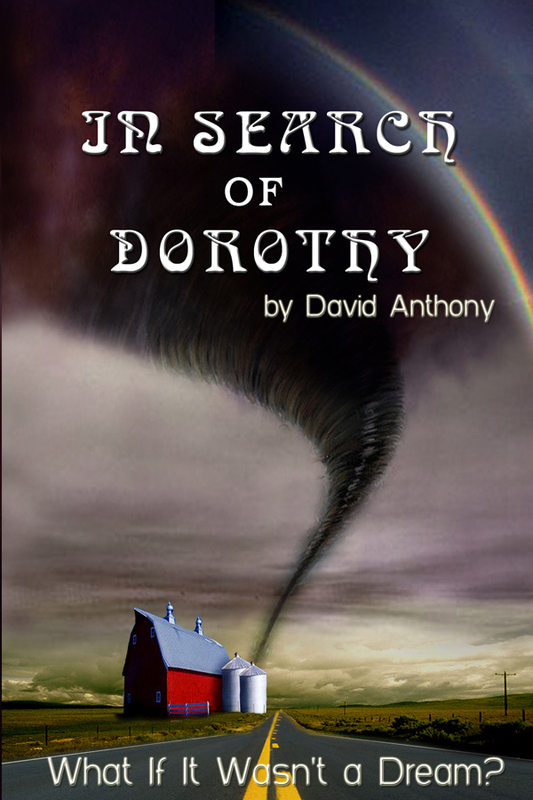 The long awaited 1st book of David Anthony's trilogy sequel to The Wizard of Oz, In Search of Dorothy, is now available and answers the questions that every Oz fan over the years has wondered or wished:What if it wasnÂ?t a dream? What if DorothyÂ?s trip over the rainbow was real? In Search of Dorothy. It has taken fifteen years for author, David Anthony, to finish his trilogy sequel to The Wizard of Oz due to the fact that it was written primarily from his nighttime dreams. Dreams that were sometimes so vivid that he felt he was living his days in Kansas and his nights in that magical land beyond the rainbow. Over the years countless generations of fans of this classic tale have all wondered or wished the same questions: What if it wasnÂt a dream? What if DorothyÂs trip over the rainbow was real? ItÂs twenty years later in Oz and weÂre about to find out. The Scarecrow has invented a tornado machine to carry himself, the Tin Woodman and the Lion over the rainbow to find Dorothy. But beware as the Wicked Witch of the West is back and she has plans to finally get her sister's magic ruby shoes and then destroy Oz. Whoever gets to those magic ruby shoes first controls the fate of Oz and with time running out everyone is, In Search of Dorothy. Please contact David Anthony directly at email If you would like to do an interview.